View More In Solar Chargers - Page 8. The PowerKeep 36 will allow you to power mobile devices from anywhere. 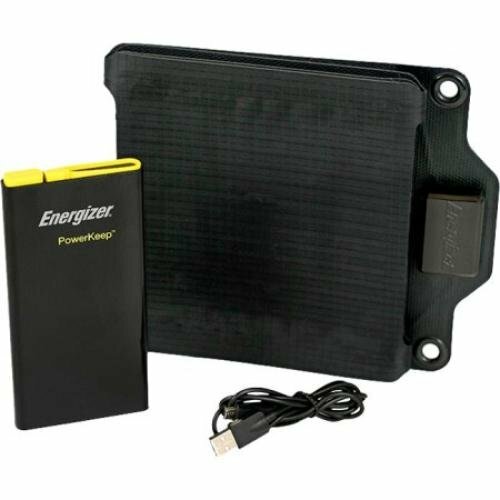 This power system features a compact 10000mAh power bank, a USB cable and a portable, flexible, 4 panel, fold out solar power system that allows you to charge multiple devices while on the go. The lightweight power bank can be charged anywhere using the flexible, fold out solar power system, or at home using any USB port. Use the PowerKeep 36 to power mobile electronic devices while out and about, even when there is no wall outlet in sight.